Tonight one of my favorite people and professors, Pouya Afshar, gave us all a surprise visit at dinner tonight. Pouya who was originally supposed to be on the trip joined us for a great night of drinks, dinner, and conversstion. Being a tourist has both it’s perks and downsides. Being a tourist with such a small group has mostly it’s perks. We can easily navigate through crowds, picking a restaurant for lunch or dinner becomes easier, and we are more united. 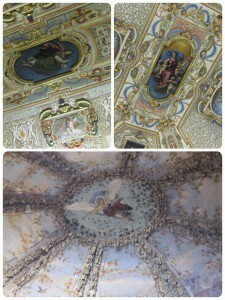 Yesterday we went to the Accademia Gallery. We entered together, started walking through the space together, and it was so packed that before I knew it the familiar people around me were gone. It was no big deal, but as I walked through the rest of the gallery I would keep an eye out for a familiar face. I found myself taking a right turn and seeing a big open hallway with unfinished sculptures on each side. I began glancing to see what else and who else was around, and that’s when I saw the most familiar face of all. I immediately stopped walking and my jaw slowly aimed towards the ground. In this huge open space, with what appeared to be a glass dome overhead at the end of the hallway was, the David. THE David. 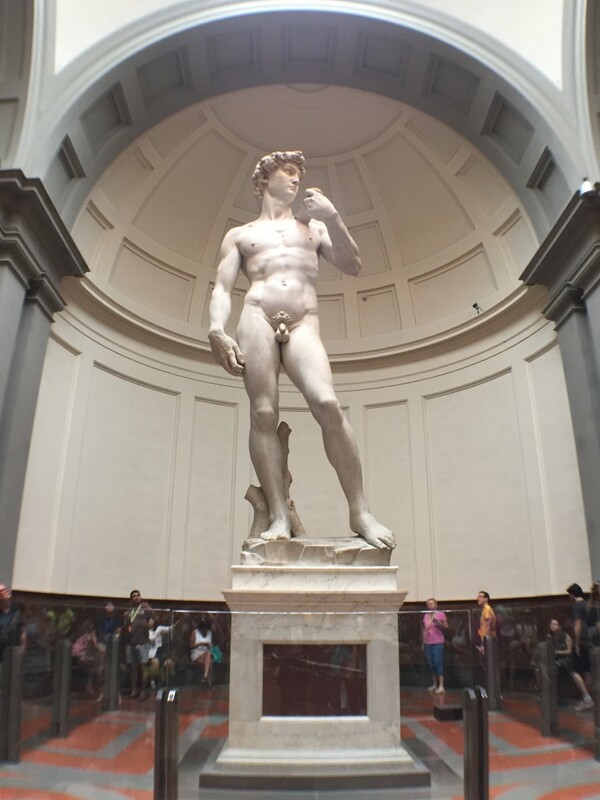 The David that I’ve seen thousands of times in textbooks and videos. The David that I had no idea I’d be that mesmerized by. I don’t remember moving, but I found myself steps away from the immaculate sculpture and I couldn’t believe it. Pictures do not do justice! Seeing it on paper should almost be a crime. The experience that I had physically walking up to it and admiring it in person is EVERYTHING compared to simply seeing a photograph of it. Photos almost cheapen the immense quality that is seen in person. Sitting with one of the professors I asked her, “How many countries have you visited?” She quickly chuckled and started making a verbal list. As they kept flowing we realized she was at 35, if not more, and all I could think of was, “GOALS”. The best part was when she told us how she was able to travel so much. When she was younger she wasn’t wealthy, her family didn’t have much money to splurge, but what she did have was work ethic, morals, and persistence. When she was younger and wanted to travel but couldn’t afford it, she reached out to an old family friend. She told the friend, who at the time was a wealthy older woman, her dilemma – she wanted to travel but couldn’t afford it. She promised the older woman she would pay her back as soon as possible. She told her she wouldn’t make any large purchases until she was paid, and the older woman took a chance on her. She was able to travel to dozens of countries, meet dozens of people, all because she put her pride aside, took a chance, and reached out to an old friend. It was refreshing to hear her speak of how bold she was, and how much it paid off for her. I know people now who limit themselves. Many people who seem bitter that they do not get to experience as much as others do, but many of those people do not seek a helping hand. “Ask and you shall receive” – do not set limits for yourself. Everything has been moving so fast that it’s hard to keep track of the days let alone the blog posts. I thought I had already posted this but realized that I haven’t. 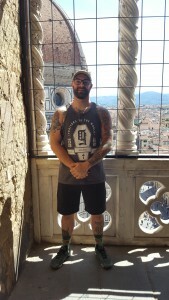 Here I am halfway up the Duomo Bell Tower with the Duomo behind me to my left. It was a steep and narrow climb to the top but the 360 degree views of the entire city was well worth it. 10/10 would climb again. After 9 hours of flying, and sitting next to someone who only spoke Italian, I already knew it’ll be an experience for me like no other. I was more excited than scared or nervous. I always talked about traveling the world someday, but I never got the chance (or at least, I never took the chance). On day one I quickly realized how important it is to take chances. We went to the Piazza del Duomo and were in line to climb the Bell Tower. Immediately thoughts of claustrophobia and heights kicked in to some of the people with us, however, with a slight push we got everybody to agree to go up. How often do you get the chance to climb up? 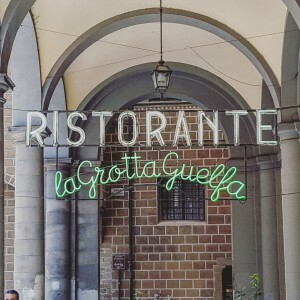 How often are you in Italy? 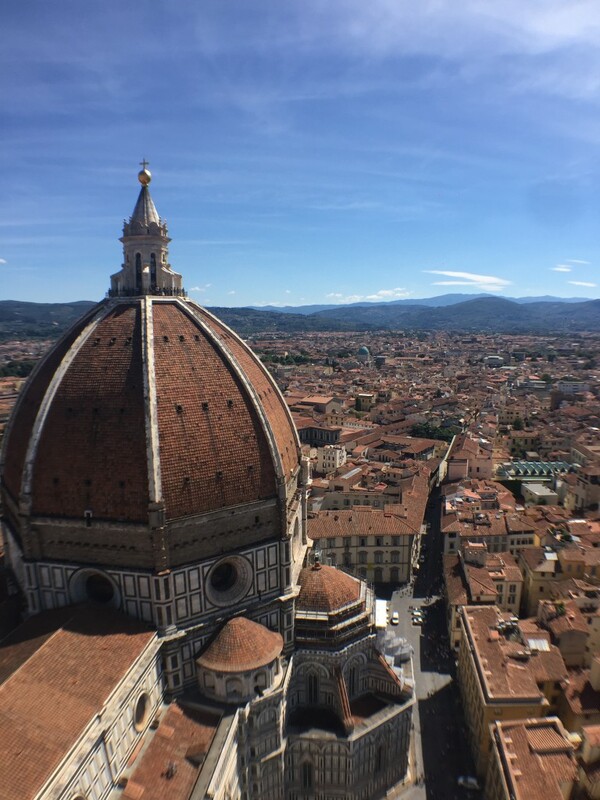 How often will you experience the gorgeous views of Florence from the Bell Tower?! Sure, the walk was a little tight at times. Sure, it was a workout and immediate reminder that you should use that gym membership that’s been collecting dust somewhere. Sure, you should plan on bringing a bottle of water with you. But, not many times will chances like these come across. You must take chances, go outside of your comfort zone, see new people, hear new languages, breathe heavily and do leg day going up a historical building. Sure, taking chances will be scary, but I’ll be lying if I said every step of the 414+ we took wasn’t worth seeing the beauty that is Florence. The reward of taking chances. 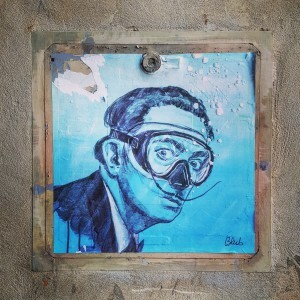 Even though we have seen a lot of traditional historic art and formal design there is still plenty of graffiti and street art to see along the way. 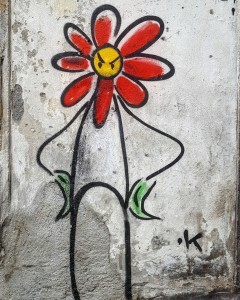 Here is some of my favorite street art from the last few days by three different artists I’ve seen throughout the city. 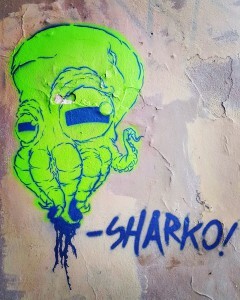 SHARKO! 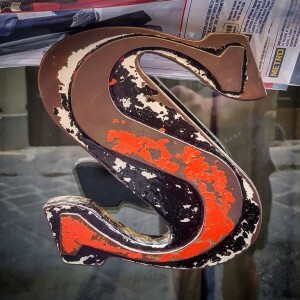 / Blub / K.
Here are two examples of my favorite found type so far from Firenze, Italy. 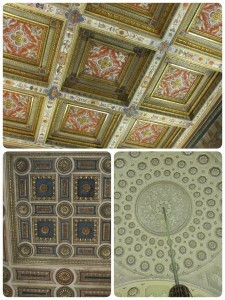 Surprisingly, the visual language(s) and design in Italy is very in-line with American design. I guess good design is good design whenever you are in the world. 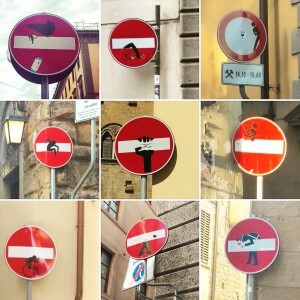 Creative traffic signs seen all around Florence. 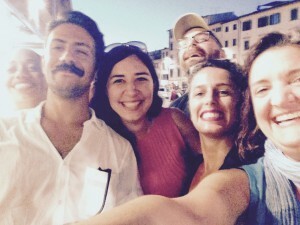 Study Art & Design in Florence, Tuscany and Rome with Professors Regina Milan and Ingrid Hess. You will immerse yourself in 2000 years of Italian art and contemporary Graphic Design. 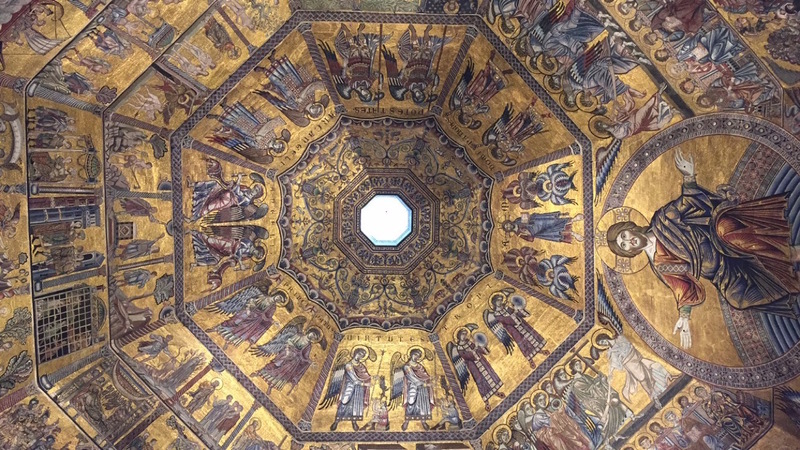 Visits will include the Florence Uffizi, and the Vatican in Rome, students will experience some of Europe’s greatest art treasures. Experiencing classic art and contemporary design, students will sharpen their understanding of the place of art & design in historic and contemporary settings. Experiential learning will include design studies in wayfinding, packaging and typography.